This Tailored shirt die-cut business card concept was created while i was thinking a new creative object in presenting my business card? I try to get away from the usual corporate cards which i usually do. A shirt with a tie maybe? As i wore it everyday to work and why not represent my outfit as a business card for people to find it AMAZING? 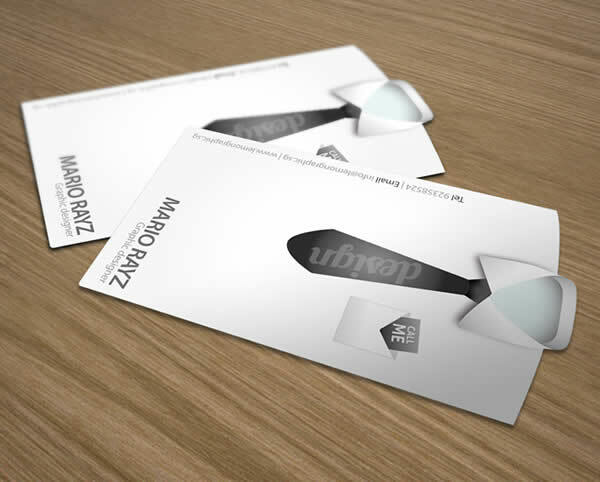 Purchase Tailored shirt die-cut business card now! ATT: Website Owner. I like your WordPress blog and I found your page through Google so I thought you could make some cash off of this. There is a WordPress SEO addon that does automatic SEO for your page, automatic SEO addons like this are new to the blog scene so having this would give your site a huge jump in visitors. If you are serious about helping your blog grow and make money then click my name to check it out. The best artcle actually ! great subject great explanation and the website very interesting ! I know that you haven’t met all of us. would you mind updating your weblog with extra particulars? It’s highly useful for me. Huge thumb up for this blog put up!